State of Wisconsin 36th Annual “Tribute & Ceremony” honoring Dr. Martin Luther King, Jr. Monday, January 18, 2016 at 12 Noon State Capitol Rotunda in Madison, Wisconsin. 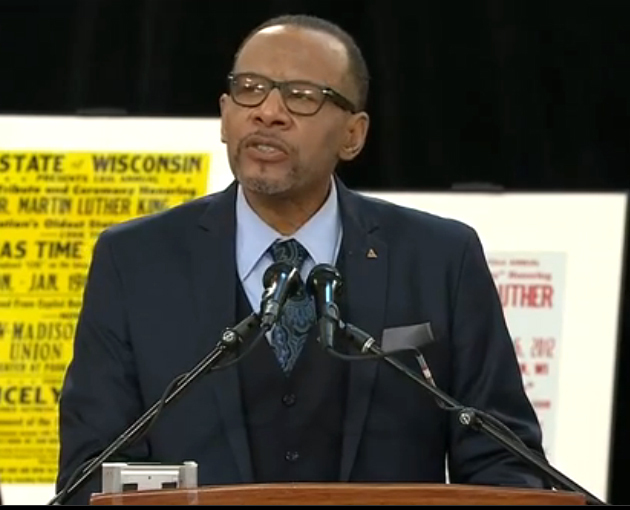 This free event is the oldest official state ceremony in the nation dedicated to Martin Luther King and is produced and directed by Wisconsin Public Radio’s Dr. Jonathan Overby. It was started in 1981 by then governor Republican Lee Sherman Dreyfus and continued by every governor since. Overby once again served as emcee of the event. “It’s a call not only to reflect on Dr. King’s life but more importantly it’s a call for each of us to stand up for those in our great nation who cannot stand up for themselves – the poor, the marginalized, the disenfranchised,” Overby told the crowd. “I invite you today in the spirit of Dr. King to embrace the stranger, to transverse to some of our nation’s finest moments when we offer hospitality to those who are different … not just because of today’s lingering hatred, but in spite of it. Overby presented the 2016 MLK Heritage Awards — honoring outstanding work in social justice — to YWCA Every Town girls camp and musician Richard Davis. Davis, an internationally known bassist and professor of bass (European Classical and Jazz), jazz history and combo improvisation at the University of Wisconsin-Madison, has worked with a variety of famous musicians including Sarah Vaughan, Eric Dolphy, Don Sebesky, Oliver Nelson, Bruce Springsteen, Van Morrison, Frank Sinatra, Barbra Streisand, Miles Davis, and many others. Brown made history as Compton’s youngest mayor ever to be elected. She won the election by a landslide, defeating both incumbent mayor Eric J. Perrodin and former mayor Omar Bradley. In her keynote speech, Brown addressed distinguished leaders and dignitaries and those in positions of power. “We must ask ourselves a hard question: Do we seek to be only in power with an “I” or empower with an “E”? The modern civil rights movement to me is about impact, empowerment, access and true wealth creation and less about privilege, class, hierarchy and assimilation,” Brown said. Brown said that we are in desperate need of a paradigm shift. She said, “To the collective, if we don’t consciously make a decision to make a change in how we define success, appropriately assign value to service, assess the full impact of privilege, and strategically create wealth …. What will the next 50 years of the civil rights movement look like? Zaria Roller, a 12-year-old freshman from Verona High School Exploration Academy, delivered Dr. King’s “I Have a Dream” speech to close the ceremony. I won’t be able to make this noon’s Martin Luther King Jr. tribute — the oldest in the nation —in the state Capitol’s rotunda. It’s one of the few I’ve missed in the past 36 years. It’s always an impressive, music-filled program paying tribute to the country’s greatest civil rights leader and it’s been produced all these years by the talented Jonathan Overby and broadcast by WHA-TV throughout the state. The Capital Times’ philanthropic arm, the Evjue Foundation, has long been one of the major sponsors. The late Gov. Lee Sherman Dreyfus proclaimed the first celebration back in 1981 and every governor since has done likewise, and been present for the ceremony. There will be bands and choruses on hand and Aja Brown, the young black mayor of Compton, Calif., will deliver the keynote. My favorite part of the program, however, has always been the reading of the Rev. 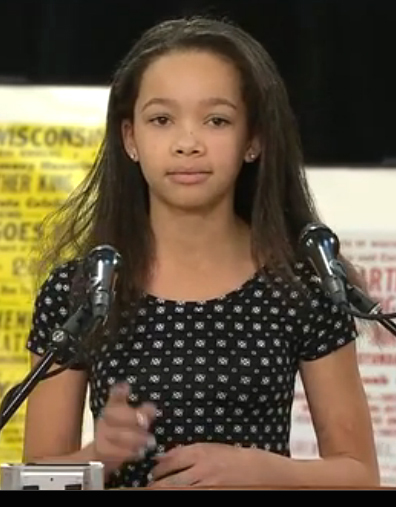 King’s “I Have a Dream” speech by a Madison middle school student. This year Zaria Roller, a 12-year-old girl from Verona, will be doing the honors. Overby’s state observance is one of two celebrations that Madisonians can attend today. The other is the official city of Madison and Dane County joint ceremony at the Overture Center. A “Freedom Songs Sing-in” will start at 5 p.m. in Overture’s rotunda, followed by a program at 6 in the Capitol Theater. Ernest Green, one of the students known as the “Little Rock Nine,” who integrated Little Rock’s Central High School in 1957, will speak. The celebration also includes Mayor Paul Soglin’s and County Executive Joe Parisi’s presentation of the annual Martin Luther King Jr. Humanitarian Award. Those of us who lived through the turbulent 1960s know how important it is to keep Dr. King’s promises alive. Aja Brown, mayor of Compton, California, urged people “not to turn a blind eye to the political process,” addressing Wisconsin’s Martin Luther King, Jr. tribute ceremony on Monday. Speaking to a crowd gathered in the state Capitol rotunda, Brown encouraged people to vote in elections at every level and to involve themselves in representative government beyond the polling booth. “It’s time that everyday people mobilize their power,” Brown said, standing in front of a handful of elected officials including Gov. Scott Walker and Madison Mayor Paul Soglin. Robinson, an unarmed, black 19-year-old, was fatally shot by a Madison police officer in March 2015. The shooting, and the Dane County district attorney’s decision not to file charges against Officer Matt Kenny, fueled unrest throughout the city among community members already frustrated by racial disparities in Madison and throughout the country. Carter said she wanted people to go home and talk at their kitchen tables about the fact that racial injustices are still occurring in 2015 and 2016 — to keep it in their hearts and minds. Protesting can be effective, Carter said, but it can only go so far without action behind it. Robinson’s grandmother, Sharon Irwin, likened the fight for racial equality to tearing down the Berlin Wall — the result comes not from one action, but from the actions of many. With the theme, Stand Up, Stand Out – A Call To Community Service, is a celebration of Dr. King’s life and legacy through words and music and, it has the distinguished honor of being the oldest official state commemoration for Dr. King in our nation. This proud event occurs in the seat of our state government while serving as a powerful and symbolic statement to many around Wisconsin, the U.S. and the world. 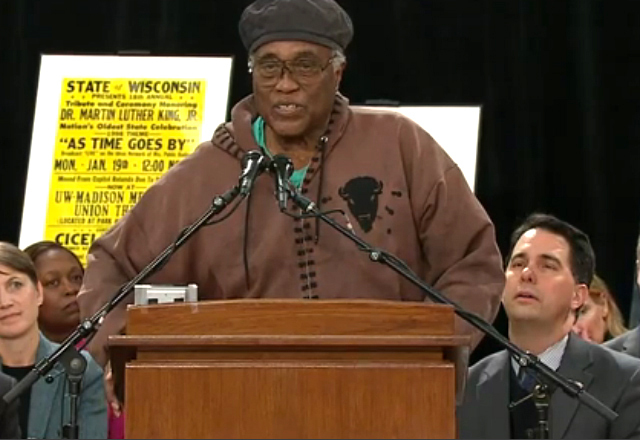 Wisconsin’s King celebration has featured many prominent leaders as guest speakers, including actors Ruby Dee, Cecily Tyson, Clifton Davis and Paul Winfield, Habitat for Humanity founder Millard Fuller, Ambassador Attallah Shabazz – eldest daughter of Malcolm X, Mamie Till-Mobley – mother of Emmitt Till, Civil Rights activist Rev. C.T. Vivian, Congresswoman and presidential candidate Shirley Chisholm, Ohio State Law Professor Dr. Michelle Alexander, Roland Martin and, CNN Commentator Van Jones. Broadcast live on Wisconsin Public Radio, http://www.wpr.org and on Wisconsin Public Television, http://www.wpt.org – live-streamed on www.wpt.org and simulcast on W.O.R.T. Radio, Madison, WI. The one-hour highlights broadcast airs on the WPT main channel at 9pm. Sponsored by American Family Insurance, Alliant Energy, CUNA Mutual Group Foundation, The Evjue Foundation, Madison Community Foundation, United Way of Dane County, Unity Health, Wisconsin Public Television, Wisconsin Public Radio, W.O.R.T. Radio and generous individuals. 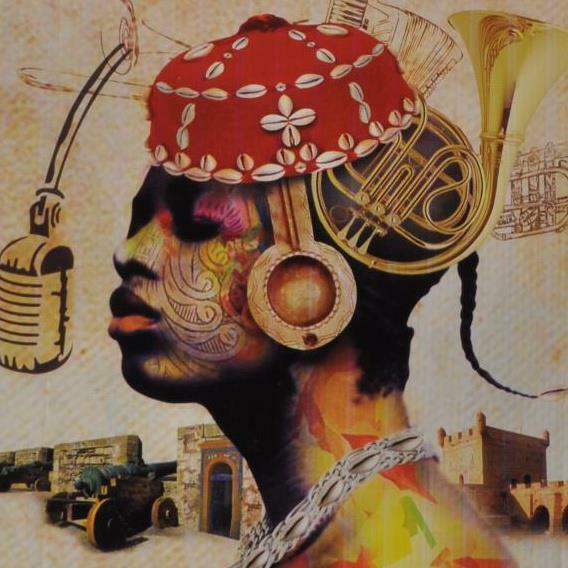 is a 2016 Production of Africasong Communications, Inc.